In a letter addressed to Chief Justice of India Dipak Misra, Former Navy Chief Admiral L. Ramdas has requested that a "high level judicial inquiry" be immediately initiated, to inquire into allegations of foul play in the death of Brijgopal Harkishan Loya, the Special CBI Judge presiding over the trial of BJP President Amit Shah and several Gujarat Police Officers in the Sohrabuddin fake encounter case. "As a former Chief of the Indian Navy, I feel strongly that it is critically important to clear any doubts about this entire incident. Therefore in the larger interests of the nation and its people, and above all in upholding the Constitution of India and the image of our entire legal system, a high level judicial enquiry be initiated immediately," Mr. Ramdas asserts. ... This is all the more puzzling in the context of the recent revelations by family members of the late Justice Loya, who have raised certain questions, apprehending foul play in the circumstances leading to his sudden death." In this scenario, a judicial enquiry, it states, is necessary to "uphold the image of the judiciary in the eyes of the people of India". This is the second letter to reach Chief Justice Chellur, the first one being that written by former Bombay High Court Judge, Justice (Retd.) B.H. Marlapalle, who has sought an SIT probe into the Judge's death. Justice A.P. Shah had also recently spoken out about the allegations, opining that not enquiring into the allegations made by the family "would send a very wrong signal to the judiciary, particularly the lower cadre". He had also expressed concerns over allegations of corruption, as Judge Loya was allegedly offered a bribe of Rs. 100 crore. The allegations first appeared in two reports by The Caravan Magazine, which cited interviews with Judge Loya's relatives-- his sister Anuradha Biyani, niece Nupur Balaprasad Biyani and father Harkishan. According to the magazine, Judge Loya's wife Sharmila and son Anuj declined to speak since they feared for their lives. The investigative report by Mr. Niranjan Takle points out glaring inconsistencies in the cardiac arrest story. It highlights inconsistencies in the reported account of the death. 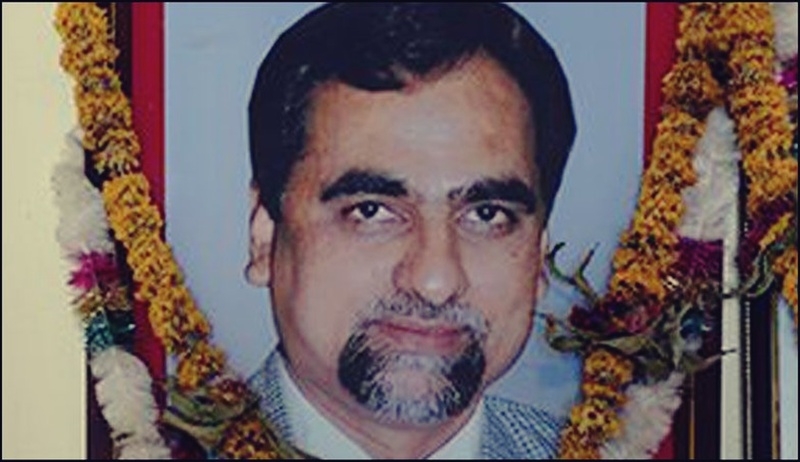 There were large variations in the precise time of his death and that fact that Judge Loya's phone was wiped clean of all data before it was returned to the family. The Judge's postmortem report was also allegedly signed by “maiyatacha chulatbhau”, or paternal cousin, when his family says there is no such person in the family. Further, his family members had noticed blood on his clothes. Another article had alleged that Justice Mohit Shah had offered Judge Loya Rs. 100 crore for a judgment in favor of Mr. Amit Shah. The article had quote the Judge's sister, who claimed that Justice Shah would " would call him late at night to meet in civil dress and pressure him to issue the judgment as soon as possible and to ensure that it is a positive judgment. My brother was offered a bribe of 100 crore in return for a favorable judgment. Mohit Shah, the chief justice, made the offer himself." Shortly after Judge Loya's death, a new Judge, M.B. Gosavi had discharged Mr. Amit Shah, after hearing the parties for three days. The article goes on to question the manner in which the trial took place, asserting that it had violated a September 2012 Supreme Court order, that the Sohrabuddin trial "should be conducted from beginning to end by the same officer".